June | 2015 | God Wins...but can I ? Zoraida was referring to trading places with my daughter Leah who passed away at 15 of sarcoma cancer. She asked this question when I was on stage with her, moments after I shared Leah’s story at an annual Make-A-Wish fundraising event five weeks ago. I didn’t expect Zoraida to ask this question. I made it through a whole 10 minute presentation of Leah’s story, without breaking down, in front of 1000 people. Yet, standing on stage and having Zoraida spontaneously ask, “You would have traded places with her….” had me holding back tears. I appeared composed, but was overwhelmed with emotion. No one ever directly asked me this question. To receive it so publicly was a bit disorienting. Yet, the question was pointed, relevant and affirming – especially coming from another mother. In that split second, my firm answer, “Yes,” gave public voice to the deepest longing of my heart. 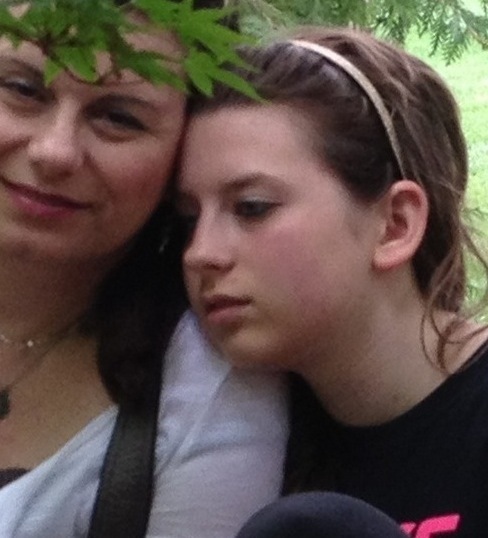 As Leah’s mother, I would have done anything to take away the suffering of my sweet girl. Yes, yes, yes, a thousand times yes – I would have eagerly switched places with my beautiful daughter to take away the emotional and physical suffering that cancer caused. Gladly. I believe that I speak for many parents who are crazy in love with their children. Our hearts bond forever the moment that we first lay eyes on you, touch your little fingers and hold you tenderly in our arms. The feelings toward you are so extremely powerful that we can put aside our own needs for your happiness and well being. I love the line, “We’ve got each other to help us grow.” Serving my children stretches me beyond my emotional, physical and spiritual capacity. I would do anything for my precious kids. The minute that I became a mom – I permanently gave away a piece of my heart that no one else will ever have. In turn, I was given a deep connection that no one else in the world will have. You live on in my heart now and forever more. You have made me a more loving and compassionate person. Your inner strength and faith have challenged me to grow into a better woman. Thank you sweet girl. How often have you said, “it could be worse” about something difficult that happened to you? I’ve been dwelling on this statement. What am I, in essence, saying or not saying to myself when I think this thought? As time passes, and my losses are months behind me, I see them collectively. The fact that my daughter, mother and father died and I got laid off my job of seven years – all within 11 months – is so surreal. The last couple weeks, I’ve had the thought that if this whiplash-provoking situation happened to a friend of mine, my heart would be so broken for her. How would she get through it? What would I do for her? Thinking of my situation as someone else’s helps me step back a bit. When I do step back, it is literally hard to breathe. Then, as a coping mechanism, I think a thought such as, “Well, all three of my family members could have suffered in a different way. Or, we could be in a war and starving with no potential jobs.” I go to extreme thinking as a way to minimize the reality of how painful the last two years have been. It seems easy to lean into mental gymnastics to cope. I’ve come to realize that society trains me to think these minimizing thoughts. Yep, you guessed it. This scenario happened to me as a child. For you, the veggie that you hid in the napkin may be carrots, peas, corn, squash, etc. 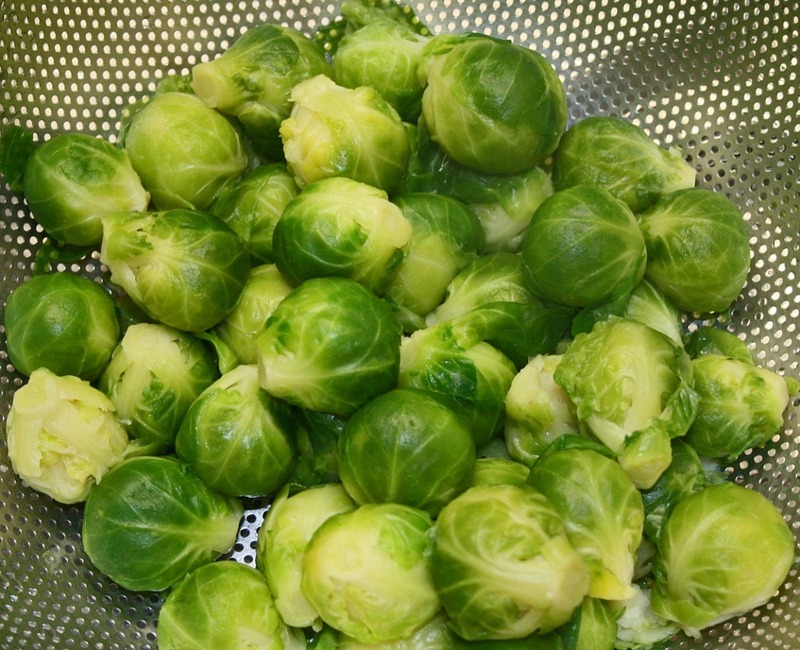 For me, there’s no worse veggie than brussel sprouts. The taste can’t get worse. I am thinking about the energy that I put into reconciling what my heart and head know to be true. The truth that life is very hard and bad things happen that are not fair. So what is a better and healthier response rather than minimizing disdain for something we don’t like? Or a better way to acknowledge situations that we don’t want to be in or appreciate? I want to live an honest life – which means being authentic in the pain. -I’m not going to try to act happy when I’m not in a good mood. -I’m not going to try to minimize my losses if others are uncomfortable with them. -I’m not going to pretend that losing my daughter is not life changing. -I’m not going to make excuses for others hurtful behavior. -I want to acknowledge that life after loss is like being on a roller coaster. -I want to be open so that others in grief are comfortable sharing their heartache with me. -I will only say I’m having a good day when I’m really having a good day. -I want to be open and transparent while staying respectful of others. -I want to be resilient and take one step forward every day. It’s not worth it wearing masks and I think many of us unconsciously do wear them at different points in time. So, I’m going to proudly share with you that I don’t like brussel sprouts and never will. I’m going to say that it makes no sense and hurts deeply to lose my daughter and parents and job within 11 months. I wouldn’t have chosen any of it. I don’t like it. I don’t want to ponder “what good” will come from my losses and I’m not interested in making myself or some people feel more comfortable by talking about “a silver lining” in my circumstance. At least for this season of time, I am not interested in these kinds of rationalizations. I don’t think it can be worse today. There you have it. What loss do you want to be truthful about today? I encourage you to share it with me or someone else. I am a fan of joining clubs. Doing so has grown me as a person and shaped the trajectory of my friendships and relationships. My life literally changed with my first drama class. This quiet girl blossomed into an extrovert. Having saved the melodrama for my parents, I unleashed the inner actress and joined speech team and dance club Junior year. Trying out for every play, musical or variety show became a huge part of my schedule. I met some of my very best friends during this season of my life. Our common passion was creatively expressing ourselves. These friendships raised the bar of my expectations, at a young age, about what being in a community could offer. It influenced the career that I chose. Since then, I have experienced rich community in many other areas of my life – work, church, friends and family. When we are with people who love what we love, there is a very special depth and connection. This group is parents who have lost their children. Life circumstances have placed us in a situation where we have tragically lost our children to death. Losing a son or daughter is always tragic, so it feels repetitive to use this descriptor. Yet, I want to shout it. It’s TRAGIC. Our hearts are broken as our precious children are no longer with us. When we meet one another, we barely have to say a word. When we look in one another’s eyes, there’s a sense of knowing – understanding the depth of pain that comes from losing a child who you love so deeply. We can finish one another’s sentences as we share stories about either our child or about how people react to us in our grief. It is a bittersweet relationship because I hurt for these parents and connecting with them renews the pain I have in losing Leah. Yet, I also am grateful for the strength and comfort they provide because they are experiencing the pain alongside me. They affirm the reality of my loss. They too are in a dark valley trying to cope and rebuild their lives after such a significant loss. I learn from them and gain hope from them. A fortitude to press on and honor my beautiful Leah. 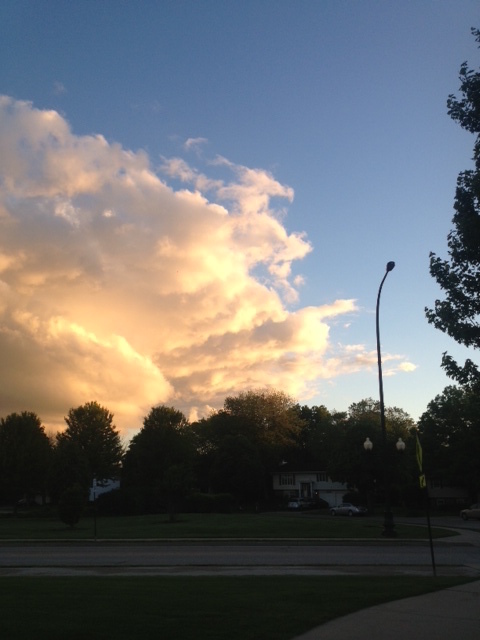 They help me look up – and see beauty in the sky after the storm. I have connected with parents through the hospice facility Leah attended, Life After Loss sessions at my church and Make-A-Wish activities. I’ve learned of groups such as Compassionate Friends – an organization for parents who have lost their children. Making connections with parents on Facebook has opened my community. There are specific groups for parents who have lost their children to cancer and even a group for parents with children who either have or had Leah’s specific form of cancer. I so wish I knew about this group when she was ill. Her cancer was very rare and there weren’t others who were in our situation with whom we could connect. These parents are my heroes because they are living through the unthinkable and unimaginable. They reach out to one another with an understanding, patience, love and compassion. This sensitivity has been learned by walking through the valley of the shadow of death. I deeply appreciate that these parents push beyond their pain to honor their beautiful child in community. They don’t advocate for rushing grief. And they want to hear one another’s stories and will always remember Leah with me. These parents are teaching me that the love we have for our children is timeless and we are proud of this fact. No matter how much time has passed – one year, ten years, fifty years – a parent’s love for his or her child NEVER dies. The strength of these parents is forming me, just as the early clubs I joined did. And I am forever changed by knowing them as I was changed by my first community experiences. My thought for you today: wherever you find yourself in life this moment, don’t go it alone. There is a compassionate community of people waiting for you – to give you support and strength.